I’ve removed the masks from the wheels and will brush paint the front and back faces after applying and sealing the decals. Trevor: What will you use to paint the wheels? 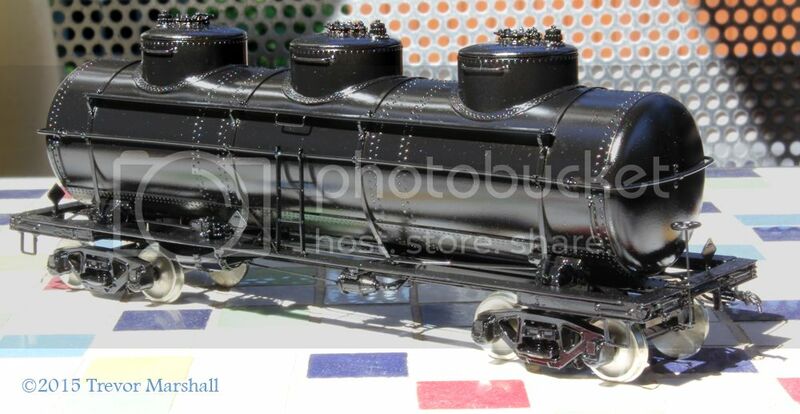 I’ll brush paint the inside and outside faces with a grey-black that I use for all of my rolling stock. It’s looking real nice, Trevor. For a guy going through a remodeling job, and with everything packed up or relocated, you’re sure managing a lot of modeling work lately!